It's our pleaseure to inform you that we've reached our financing goal of €300,000. For this reason, we want to extend our gratitude to the 692 Companists that supported our company through investments totaling to €321,535. 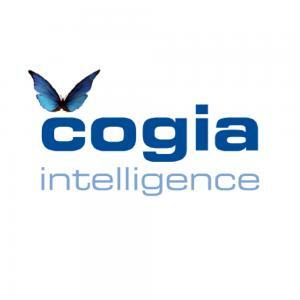 Cogia GmbH is a leading solution provider for internet monitoring and social media content. Since 2010, we've been offering highly developed software for web analyses as well as our editorial services. More than 100 customers, especially from the automotive, finance, and public sectors, already use our products. Since 2015, Cogia has expanded its offer to customers of MeMo News AG, which is a fully owned subsidiary. MeMo news also offers professional and online social media monitoring solutions in real time. This feature can be combined with an individual analysis of the online media situation. And so we offer Cogia as a simple and cost-effective solution at the entry level market segment. Following this, we're rounding off our product portfolio. In order to finance additional growth, we started our equity-based crowdfunding campaign on Companisto on 13 December 2016. This has been an exciting experience for us. With the investments from the Companists, we plan on expanding our technological advantage by developing new analysis methods, increasing our market visibility, and tapping into new markets (especially in the Middle East). Today we informed you about the end of our campaign, as we've reached our financing goal. In order to provide the Companists with the possibility to invest in Cogia, the campaign will now be extended to Monday, January 30 2017 and end at 11:22 a.m. Our team can answer any queries you may have. Send an e-mail to info@cogia.de or call us at +49 (0) 69 2648485-11. We're going to give our technology and our expertise our best in order to turn our set goals and visions into reality.